Yep, that is me riding without a helmet. I was five miles from my house before I realized that I did not have it on. That shows how crazy excited I was about riding my bike. This was my last ride in April. I am happy with my progress with my right hip getting back into shape on my road bike. I am starting today on the National bike Challenge. From May 1 to September 30 I will try to ride as many of the 153 days of the challenge. 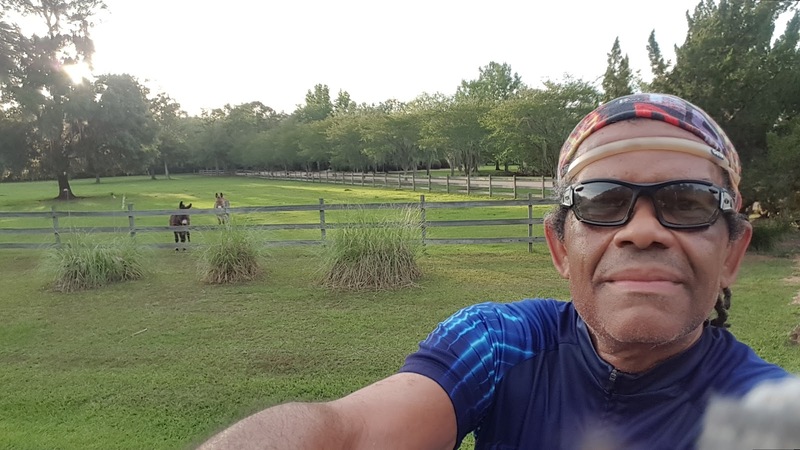 I am not do the miles that i have been in previous challenges, but I want to ride as many days as possible. 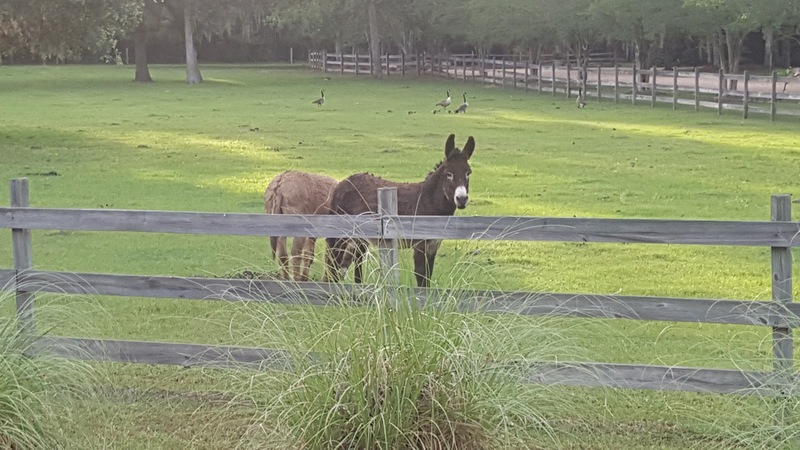 Where else can you see donkeys in a pasture?